I read this article once by a popular fashion blogger about redefining your wardrobe. In the article she says ” having a lot of clothes does not make you stylish”. It’s funny cause for sometime I didn’t think I was as fashionable since in reality I didn’t have a lot of clothes. But then that changed. I had a lot of clothes. But guess what…. I still wasn’t fashionable. *Chuckles* Why I say that .. Lets see, I had a wardrobe full of clothing yet every time I get invited out or have an event I always have to buy something new, not always but most times I am inclined to. Ain’t that a challenge right? It just wasn’t adding up. How can you have clothes but don’t have? When I read that statement from the blogger it brought so much clarity and a push that made me re-evaluate how I defined my style and more so how I build my ideal wardrobe. Tired of the Tornado that swept through the closet look that’s left behind before every event….. you know what I mean! My notion… it doesn’t matter how many folks you admire and incorporate pieces of their style into your look, in the end I feel you come out with something original that really reflects you. It’s okay to admire, copy, cut and paste. Don’t lose yourself while doing that though. In the past 7 years of sewing and really pushing the threads, it’s only within the past three years I am beginning to really define my style. There are certain elements that are common to how I select clothing, put them together and how they fit and feel before I make a purchase. It’s that serious. Life is too short to not be comfortable with what you wear. I am sure we all had that stage where we wear clothing to fit in that was not the best for our body in some ways or the other. What if you could love every stitch of clothing you own? You know,every piece your favourite piece? That’s the kind of wardrobe I would like to have one day. 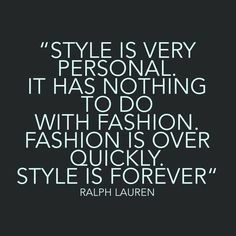 Thats’ right.. every piece having a story, jelling with each other, mix and match, across seasons, fun, function and fit all in my closet. Sounds like a tall order. But hey… the sky is not the limit. Define your style and then build. One piece at a time.It will take time but once you know what works, you can build from there. The key is knowing and learning what works for YOU. Stop buying clothes to fit in and say you have, when really you and I know they are not working for you. Your clothes should work for you. If it is not working for you ….let it go…. *hint hint* It’s time for a spring clean. What’s your style? Or I should say your wish list?I would love to hear from you? Next postDress Rehearsals: The style test!